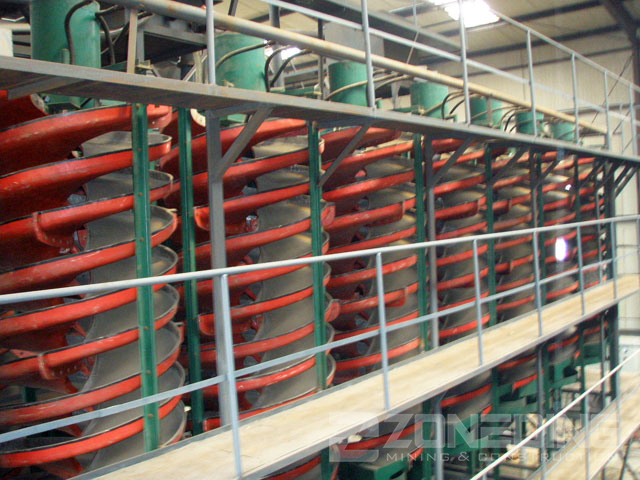 Product categories of Spiral Chute, we are specialized manufacturers from China, Spiral Chute, Screw Chute Machine suppliers/factory, wholesale high-quality products of Gold Screw Chute R & D and manufacturing, we have the perfect after-sales service and technical support. Look forward to your cooperation! 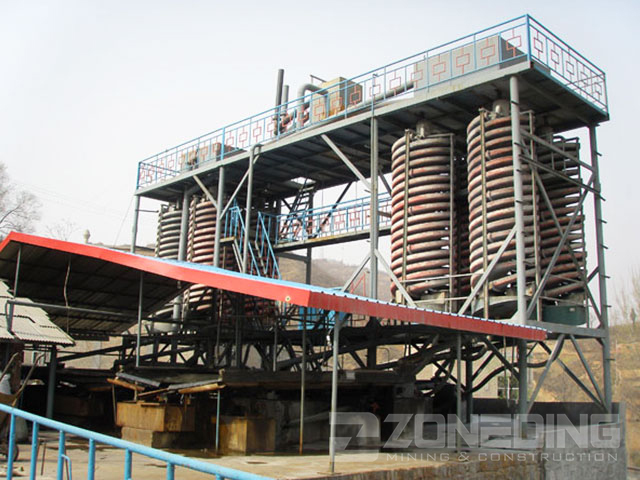 Spiral Chute is a kind of ore Beneficiation Equipment suitable for sorting ferrous, nonferrous, nonmetallic mine and minor metal mine such as gold mine, silver mine, alluvial gold mine, lead-zinc mine, copper mine, tin mine, titanium iron mine, pyrite mine, hematite, limonite, chromite, ferberite, tungsten, tantalum-niobium, colliery, monazite, sapphire , barites, rutile, zircon. 5. High handling capacity and high segregation precision.